CINCINNATI, Nov. 27, 2018 /PRNewswire/ -- The Kroger Co. Foundation and Feeding America are partnering to provide Americans the opportunity to Give a Meal, Share a Meal on #GivingTuesday, helping the one in eight Americans who struggle with hunger and supporting the retailer's Zero Hunger | Zero Waste moonshot. "We invite you to celebrate #GivingTuesday by supporting Give a Meal, Share a Meal," said Jessica Adelman, group vice president of corporate affairs. "Giving the gift of meals today is one way we can each help our neighbors this holiday season and create Zero Hunger | Zero Waste communities." For every dollar donated through midnight today, The Kroger Co. Foundation will match the donation, up to $200,000. Donors can gift the donation match in the name of a friend or family member. Every dollar when matched equals 20 meals, and the program aims to provide four million meals to families connected with Feeding America's network of food banks. For #GivingTuesday 2017, customers across the country took a pledge and engaged through social media to join Kroger to realize its vision of Zero Hunger | Zero Waste, resulting in a gift of 2.4 million meals to Feeding America, exceeding the original goal of 1.5 million meals. In the same year, Kroger directed 325 million meals to Feeding America and other hunger-relief partners. In August, Fortune magazine named Kroger to its Change the World 2018 list, earning the sixth spot. Kroger was recognized as one of the 50-plus large companies around the world using its resources to solve society's most complex issues, citing Zero Hunger | Zero Waste as the rationale for the top-10 ranking. 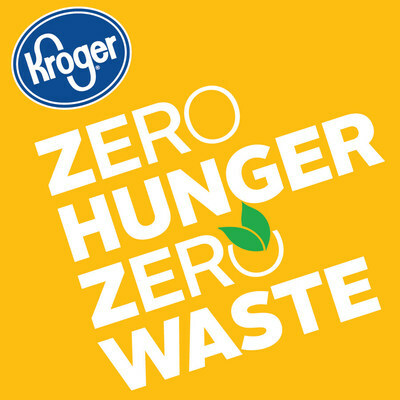 To learn more about Zero Hunger | Zero Waste, visit www.thekrogerco.com. Follow the journey at #ZeroHungerZeroWaste.